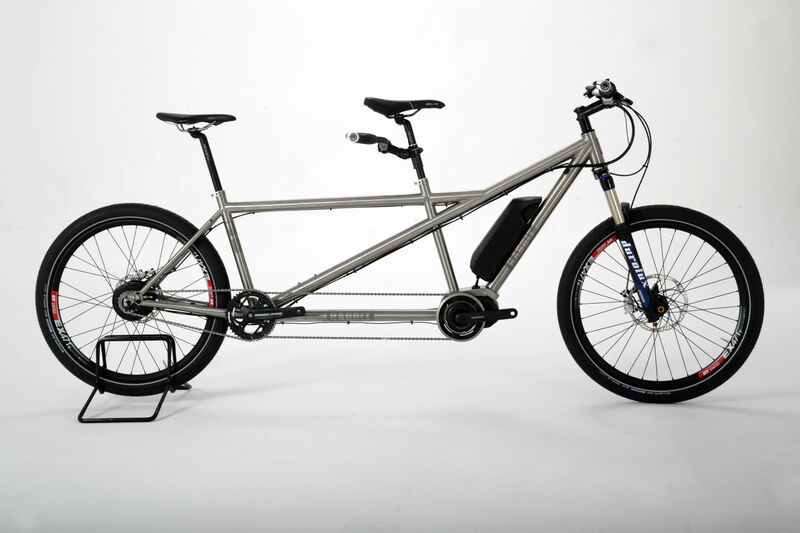 RABBIT E-Tandem – Kids STEPS Edition – The first titanium STEPS E-Tandem was exclusively shown at Eurobike 2016 by RABBIT Cycles. It comes with geometry to adapt the needs for parent’s captain in the front with rear stoker geometry for small kids. Just perfect to get on ride with the support of the great Shimano STEPS engine. So much power even to add the rear trailer to make it an “Extra Long Vehicle” with lots of power no hill can make you stop. 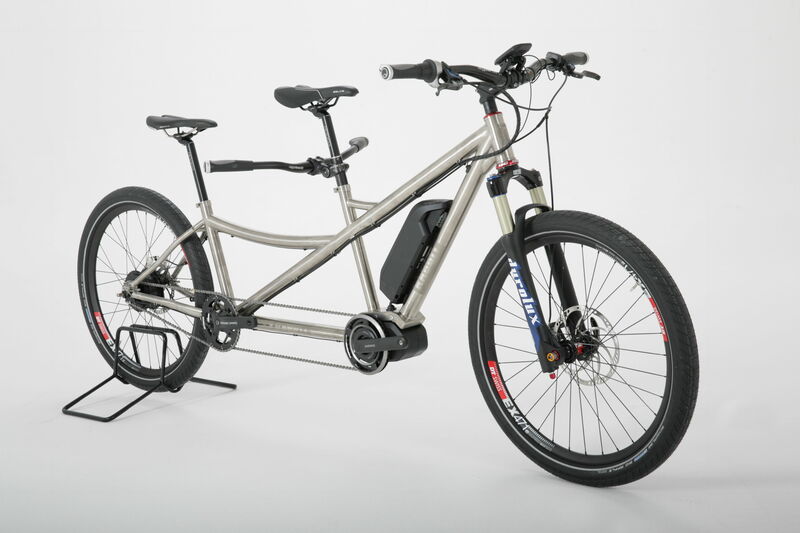 RABBIT Tandem Parents STEPS Edition – The first titanium STEPS E-Tandem was exclusively shown at Eurobike by RABBIT Cycles. It comes with geometry to adapt the needs for parent’s captain in the front with rear stoker geometry for another larger family member. Just perfect to get on ride with the support of the great Shimano STEPS engine. So much power even to add the rear trailer to make it an “Extra Long Vehicle” with lots of power no hill can make you stop.